Night markets are a fad in most countries. In places like these, you can find affordable things that will suit the needs of every consumer. Thailand is one of the countries, well known for such markets. 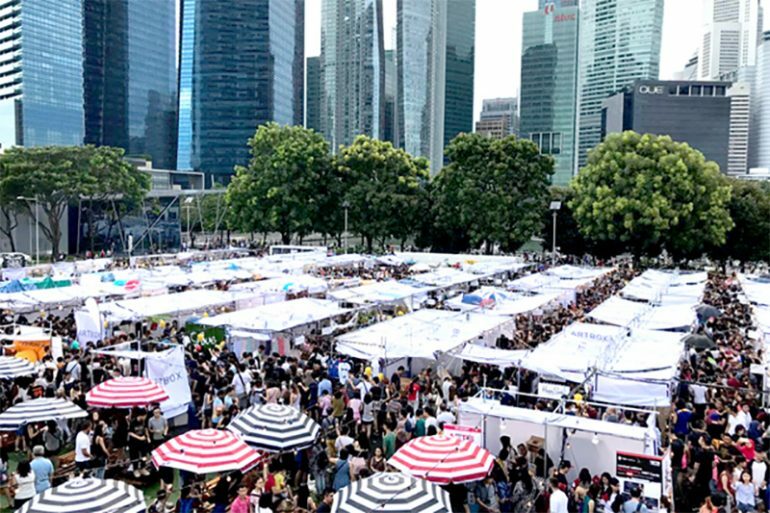 Artbox is a contemporary flea market that showcases creative, interesting and personalized products by young entrepreneurs. It is business and art in one place. Artbox caters to hipsters, the young, trendy and fashionable consumers. The unique marketing of Artbox started with the idea of using container box and food trucks as its means to sell their merchandise. It is a venue of aspiring artists to exhibit their work and showcase their talents. The Artbox opens its door to small passageway of fairy lights to welcome the shoppers and with graffiti art and pictures of every stall inside the market. There’s an elevated portion overlooking the whole area. Friendly hands-on owners that surely know their products will welcome the customers. There are a lot of good finds. Each container box exhibits its products in a unique way from customized shirt designs and patterns to wooden accessories and vintage fashion. One can look good on a cheap budget. Artbox sells random items for everyone’s need. Bring out the artistic side of you from all the crafty products, handmade and locally designed materials. There are food trucks operating to variety of menus like Thai food, Asian, Western and even Mexican food. Seafood, rice dishes and desserts are up for grabs. Have you eaten a banana coins? It’s banana with oozing chocolate at the center. There’s corn dog and cotton candies with a twist with candied eyes and mouth. They’ve got drinks too, to keep you hydrated. Apart from water, there’s light bulb drinks, different bubble teas and multi-colored flavored drinks topped with Minion marshmallows. There are alcoholic drinks like cocktails and beers. They are all done in style to appetize your eyes and suit your taste buds. Have it as you listen to live acoustic band performances. Artbox’s first overseas edition was opened in Singapore. It recently had a bazaar of the same concept to the public. There are 500 vendors for local and regional hawkers. Its goal is to broaden its bazaar to Asian market. The usual large, colorful container boxes and art products along with plenty live music. It became a chance for some Thailand food and products to be featured in the Singaporean market. 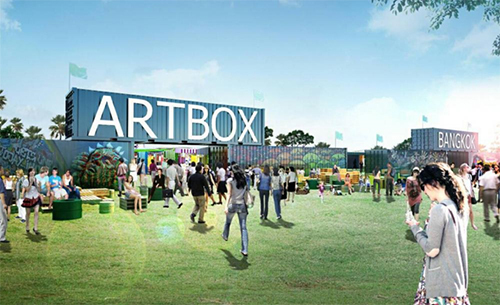 Artbox will eventually open doors to recognize Thai talents for more opportunities. It is a bloggers’ haven to expand its contacts and advertise its products. It is indeed the hippest market in town. There is no wonder it is a success to shoppers and art enthusiasts alike. It is a good thing to keep moving in this direction and make quality and artistic products more accessible to a lot of people.